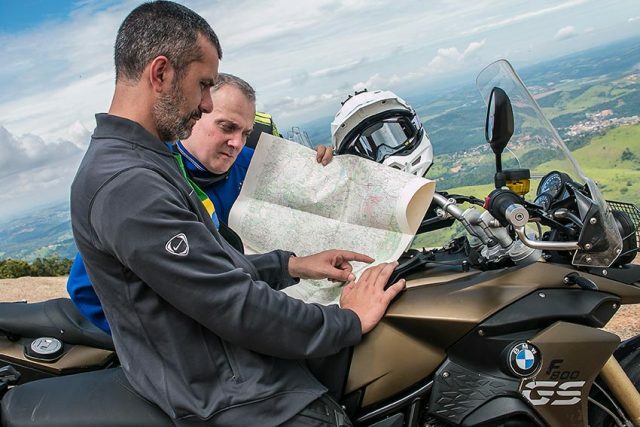 Second edition of tips for motorcycling travellers, found on the net, carefully selected by our GIVI EXPLORER team based on the originality, interest and usefulness, and the different levels of experience motorbike enthusiasts have. Take notes. LONG DISTANCES ON YOUR OWN? If you’ve decided to do a hard-core trip on your own, perhaps in the middle of a rather remote area …. it would be wise to let friends or relatives know before leaving. If this trip is going to take a few days, prepare a plan of attack for each day. What’s it for? To make sure that someone back ‘home’ knows where they can find you ….. if you’re late, make sure you touch base with them as soon as you can. Use them to enrich your trip and to let others know about it. If you aren’t on Facebook, Twitter or Instagram, consider taking the plunge and becoming ‘social’ before you leave. That way, friends and family can see what you’re up to each day. And then, there’s always someone who has been to the same places as you and that could give you some valuable insights (what to see, what to avoid….). The ‘socials’ even let you sometimes meet up with friends along the way. Uploading photos, videos and updates is really easy … even for those who aren’t so tech savvy. In the sense that enormous progress has been made in terms of the technologies available to cool or warm up the body through different materials in contact with the skin. So why continue to suffer the heat or cold when there are so many alternatives these days? Buy yourself technical underwear before you leave. You won’t be sorry. This operation is truly important and should be done every morning before leaving, especially if the itinerary the day before was on dirt roads, through fords or roads full of pot holes… Check the tire tread, the brakes, any possible oil leaks, the petrol in the tank, and the chain. Start the day early to end it a bit earlier. Many travellers adopt this philosophy. Out of bed at 6:00, shower (when possible), breakfast, check the bike and leave no later than 8:00. It’s a fantastic feeling to watch the world wake up from the saddle of your bike. Getting to your destination not too late means that you have more time to work out where to stay, if the bike is safe and protected enough etc. The longer the trip is, the more carefully the baggage situation needs to be examined. The advice from many experienced motorbike travellers is to take with you only the bare essentials (in addition to the technical clothes to wear on the road and the rainproof suit). A list from a website recommends: a lock, smart phone & charger, wallet, LED torch, a multi-tool, 2 pairs of underpants and socks, a pair of jeans and a couple of t-shirts. Then also a towel and a first aid and puncture kit. Perhaps also a rainproof hat. Few of us drink enough water each day; this error becomes more serious if we find ourselves under the hot blazing sun in a hot country. To avoid getting dehydrated, it’s important to drink before you get thirsty. It’s a good idea to also just take sips regularly. Otherwise, you might too soon get headaches, sore muscles, feel nauseous or faint. A day spent on the bike in a desert terrain, could mean that a litre of water each hour is necessary. Think ahead and make sure you have enough space to transport an adequate amount of fluids. On the web, many people suggest memorizing your trip on your GPS before leaving so that you can then use it in the off-line mode. The idea is that a GPS that is always on, might distract you while riding (it’s better to stop every hour or so to check). The pluses of having a paper map, instead of a GPS, are that you can view a bigger area than on the screen of your navigator or smartphone, and there’s no need to charge it. The post lunch slump is difficult to combat with just a black coffee. If you start feeling drowsy on the road, pull over immediately. Resisting a delicious slice of that cake in that cute little coffee shop isn’t easy, especially when there’s no one to remind you. Learn to follow an ‘athlete’s’ diet. So, a breakfast of carbohydrates, a light lunch and a couple of snacks of fruit, muesli or yoghurt during the day. Dinner can be more satisfying … as long as you’ve already reached your destination. If you’re not used to riding a motorbike for more than a couple of hours a day (in other words if you’re a newbie to long distances), don’t jump on your bike to go off on a trip where you’ll have to ride for at least 5-6 hours. Tiredness and lack of experience can play horrible tricks on you when on the road. It’s best to work up your experience gradually. Forget about how it looks and consider attaching a windscreen in case you decide to go on a trip on a bike without protection. This simple accessory can make the difference in how comfortable you are and it would be foolish not to take into consideration purchasing one, or even substituting one if that which is already fitted on the bike is not protective enough. Feeling the wind on your face is great …… but after 2 or 3 hours the novelty wears off, especially if you’re travelling on average at 100km an hour. If you wear glasses, remember to take a spare pair along with you. Perhaps you could pick them up in the chemist for a good price. It’s important to have them on you when you need them (remember Murphy’s law): when travelling it’s easier to break or lose them. While on the optical subject … a pair of binoculars, to keep handy, can be useful on a number of occasions. There are some super compact models of a high quality on the market.